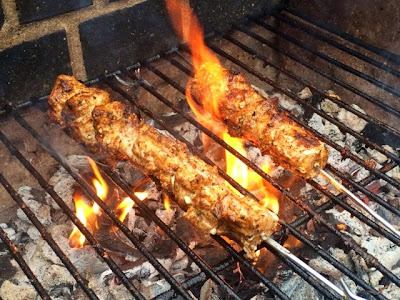 Whenever we have an impromptu barbecue at my house, which is pretty often, rather than get the same old burgers and sausages out of the freezer I often turn to kebabs. Alongside a good supply of burgers and sausages, we nearly always have chicken breasts in the freezer and with a half decently stocked spice cupboard you can do something different with them every time. Jerk chicken has been one of my absolute favourite things ever since The Boyfriend cooked it for me when we first met. 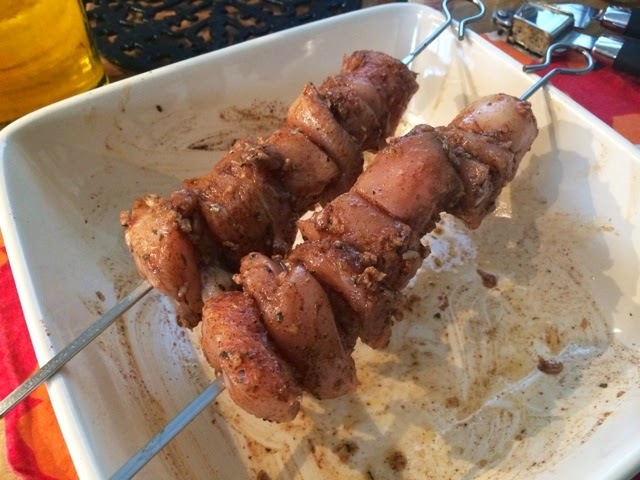 I figured surely this must be a fairly simple flavour to recreate on a basic chicken kebab with a few simple ingredients from the spice cupboard. It’s hard to specify an exact amount of all the spices to use, as a guide I would say sprinkle generously until the chicken gets a good coating of each one. Do not be too liberal with the cayenne pepper though! I learnt the hard way that cayenne pepper is not all that similar to, and therefore does not make a good substitute for paprika, as I generously added it to a cous cous dish I was making for my lunch a few weeks ago and was left with a burning mouth for most of the afternoon. A couple of teaspoons is plenty to give these kebabs a little touch of heat without waging war on your tastebuds. If you have time to prep ahead it would be a great idea to let the chicken marinate for as long as possible to really let those flavours infuse into the meat. If I know in advance that I’m going to be marinating something I’ll try and do it the night before or in the morning to give it a whole day to let the flavours develop. If you don’t have time, don’t worry, doing this just before they go on the BBQ like I did will produce really tasty results too. 1. In a dish sprinkle liberal amounts of all the dried herbs and spices, excluding the cayenne pepper over the chicken so that all pieces are well covered. Then sprinkle over 1 or 2 tsp of cayenne pepper. This is really hot so unless you’re a real heat lover this is the only one you want to be sparing with. Pour over the olive oil and add the garlic. Get your hands stuck in and make sure all the pieces are well covered and all the spices rubbed in well. Marinate for as long as you can, minimum of half an hour. 2. 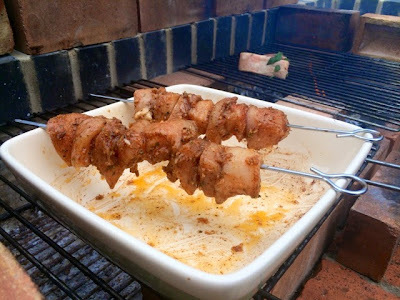 Push the chicken pieces onto skewers ready for the barbecue. 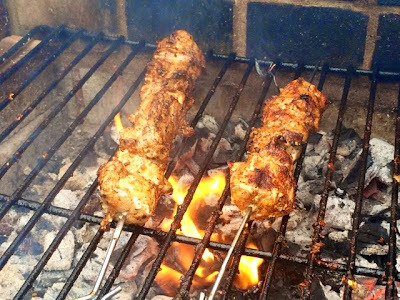 If using wooden skewers soak them in water first, this will prevent them burning on the barbecue. 3. 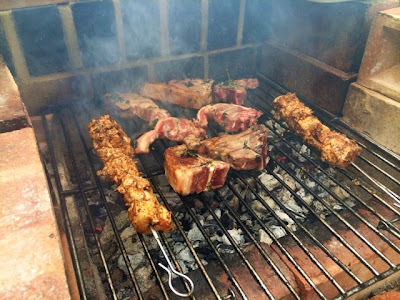 Cook on a medium to high heat on the barbecue turning regularly to ensure you cook all sides evenly. This should take around twenty minutes in total but as ever with barbecuing use your common sense and powers of observation, if you’re really unsure as to whether it’s cooked through, cut into a little piece on the end to check.